Getting my little Tan Man (Tanner, my 3-year-old grandson) home to his Momma involves a couple of left turns, a merge onto the interstate and a fairly decent drop down a rounding curve. Now as you may well know, driving an hour with a 3-year-old could go south very quickly if the mood turns dark. But of course, this Grandma has a plan. My first line of defense against a gloomy drive home is a snack bag full of animal crackers with a few gushers for a tad of extra insurance and a sippy cup full of water. The next weapon in my Grandma arsenal is a series of silly games played at the same time each drive. When we take a turn I always ask Tanner which way we should go. He tells me “To the Left, to the left, to the left, to the left” (think line dancing songs here) OR “To the right, to the right, to the right, to the right.” When we merge onto the interstate he throws his arms in the air and we yell “Wee” at the top of our lungs. When we pass a car on the interstate we pretend we are sneaking up on the car and right when we pass it we make very loud growling and chomping sounds as we eat them up because we have morphed our car into a giant T-Rex (of course). We scream and yell “Hide, Hide, Hide,” when someone is passing us because they have morphed their car into a giant T-Rex as well and could very well eat us up if we aren’t careful. 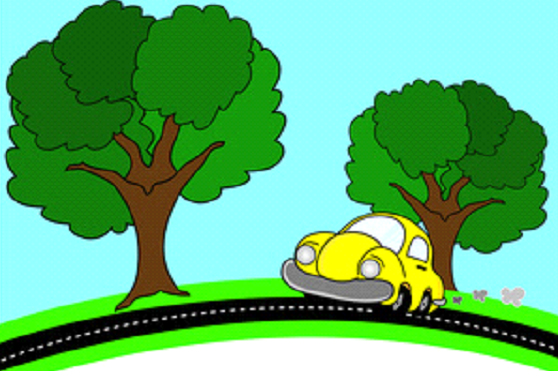 Our best and final game is yelling “Buckle Up Buttercup it’s Gonna Get Crazy” every time we careen down the hill following the big curve in the road that leads to his house. Jess calls me one evening and said she knew Tanner had been spending too much time with his Grandma when Momma-Pops (Tanner’s name for his other grandma) laid him down to change a particularly toxic diaper. Tanner looked up at her with his big blue eyes and sly little grin and yelled “Buckle Up Buttercup Its Gonna Get Crazy!